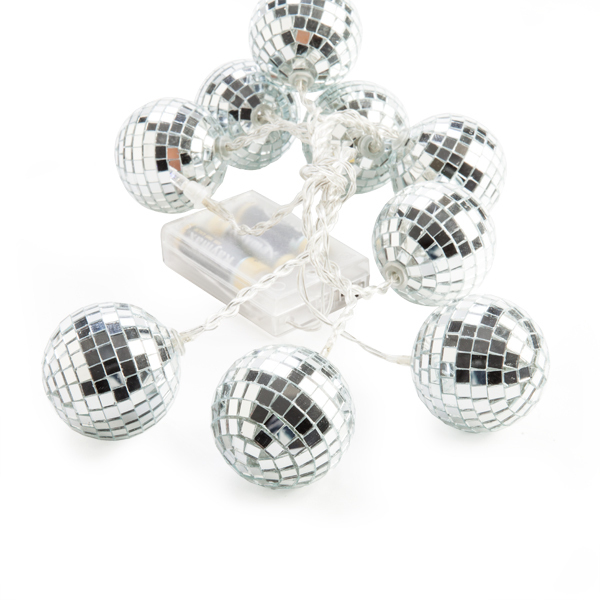 Disco Ball String Lights | Perfect for instant Saturday Night Fever! For instant Saturday night fever! They're funky mirror ball string lights! 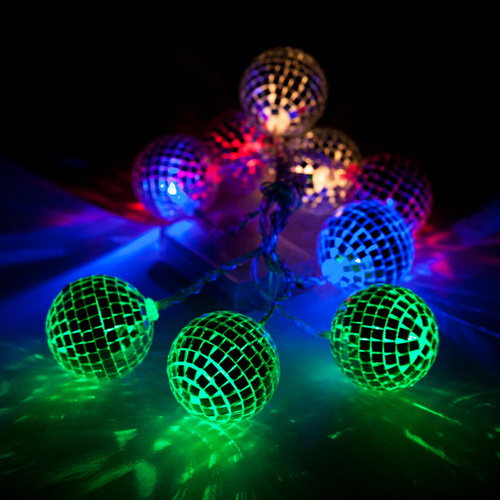 Decorate for a disco dance party with Disco Ball String Lights! This set of 10 LED-illuminated mini mirror balls are powered by 3 x AA batteries, making them perfectly portable. 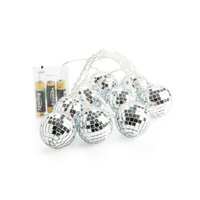 Simply hang them up or wrap them around your railing, flip the switch to light them up and let them bring the party to you! Each retro glitterball contains a colourful LED to project an instant party atmosphere! Note - not water resistant, do not get wet.